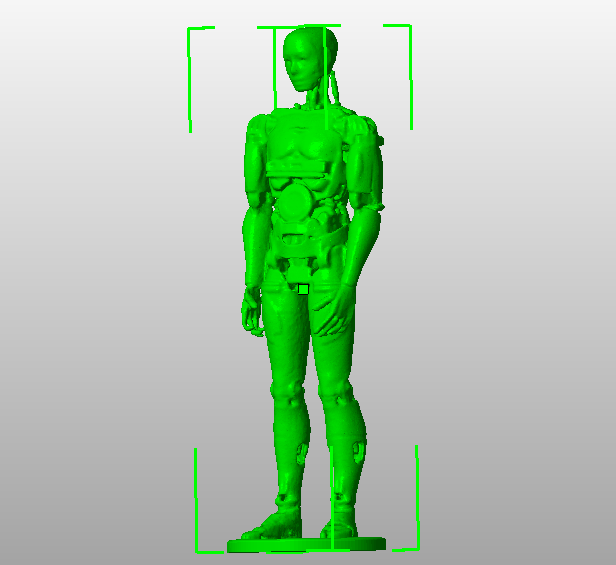 During the Makerfaire of Lille, we scanned my full InMoov. The scan was done with a low resolution unfortunately, but if you print it not too big, it’s nice to have. 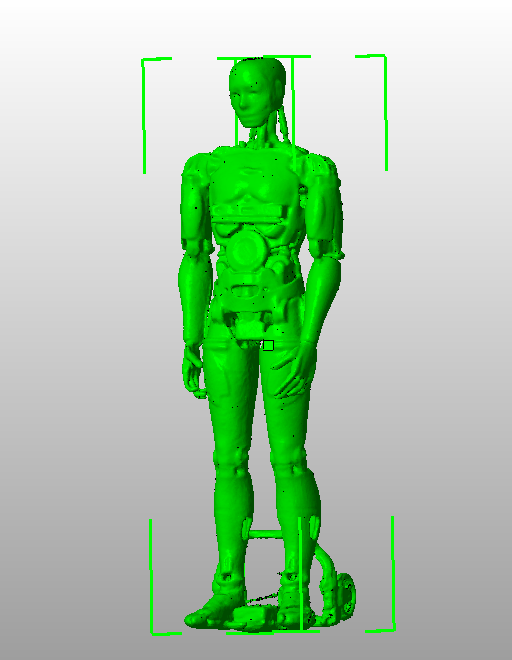 I have put the STL file into the Galery under InMoov Goodies. Remember InMoov design is under CC-by-NC. You also can find it on Shapeways InMoov Shop, print it in gold or silver!! Because I have given the authorisation to the people that did the scan, you might find it in their shop as well. This was the original with the wheel carriage I am currently using. If you look closely there is a hole on the top of the head and it was a real big mess inside the STL. I had a lot of work to clean up the mesh. This is the final cleaned up STL available in the Galery. Print with a bit of support for the hands and shine. 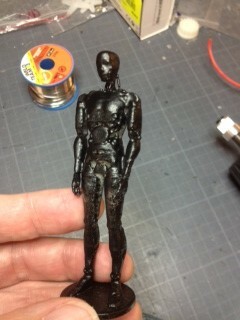 Here I have smoothed the surface with Acetone vapor for the ABS. This entry was published on December 18, 2016 / Gael Langevin. Posted in Uncategorized. Bookmark the permalink. we are going to build one InMoov robot for student in my AI class, we use TF/Cuda and I come from Arduino world, we are very interested in partecipating in the project, it is both the perfect STEM for educational and the ideal operator helping human beings, is it ok to develop adding gpgpus and to test/improve it? Can we put in strong artificial intelligence website giving you credits and collaborating? We are headed to making robots crew for space missions and for helping humans. Thank you for your interest in InMoov project! The CC-by-NC license 3.0 is pretty clear about what can be done with my design. Of course you can use InMoov for educational purpose and improve it. But you can not get involved in any commercial sort of way even if you give me credits and collaboration. thanks for the answer, very good we will print InMoov in the class and help students with different approaches for improving. I work with same license type of you, my focus is very much on teaching how to make smarter AIs and not into the hardware itself (anyway I am Italian and I have grown up on Arduino). 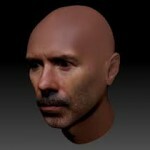 My website is http://www.strongartificialintelligence.com , may I list there that I and class will exercise on deep learning testing the quality of class software on InMoov robot (I was referring on this speaking of credits)?